At a time when the government is facing flak from within the LDF over the functioning of the Police Department. 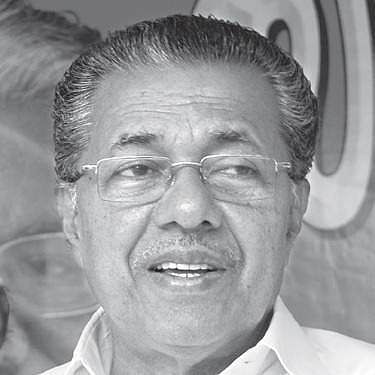 THIRUVANANTHAPURAM: At a time when the government is facing flak from within the LDF over the functioning of the Police Department, under Pinarayi regime, the CPI state executive which met here on Monday criticised the Chief Minister for not reining in the errant cops. Some senior leaders even called Pinarayi Vijayan a ‘dhoti-clad Modi in disguise’, while expressing their discontent over his autocratic functioning. The senior CPI leader likened Pinarayi Vijayan with Prime Minister Narendra Modi, accusing him of trying to implement Modi’s policies. The CPI executive which met ahead of the two-day state council, expressed discontent over the autocratic manner in which the Left government is functioning. The latest provocation was the meeting of ministers’ personal staff, convened by the Chief Minister, the other day. “Many members criticised that there’s lack of coordination within the Cabinet. It seems the CM is functioning in an autocratic way. And there’s an attempt to interfere in ministers’ portfolios. There’s no clear coordination which is evident from the way ministers respond,” sources pointed out. However the party state leadership opined that the CM has the right to convene a meeting of the personal staff. The issues related to distribution of title deeds and crisis in the ration distribution also came under criticism. It was pointed out that there’s an attempt to put the blame for ration crisis on the CPI alone. The ration crisis and steps to address this should be explained to the media by the minister concerned, not the Chief Minister. Many members pointed out that the CPM’s opposition towards the revenue department is because they didn’t get title deed for encroached land. The executive also alleged a ‘big brother’ attitude from the part of CPM and demanded that the issue should be raised before the Left front. Senior CPM minister AK Balan’s open remarks against two CPI ministers - E Chandrasekharan and K Raju - also came under severe criticism at the CPI executive. Party leaders feel that the criticism against two CPI ministers is directed against the party and hence the party should take up the issue. “Was he born a minister?” asked one of the executive members. In an apparent reference to the manner in which Balan criticised Revenue and Forest ministers, it was pointed out that no one should try to control the departments under CPI ministers. “Each of the ministers in this cabinet comes from political parties that have clear cut policies. And the LDF has a broad common policy framework. In addition there’s a Chief Minister who can give directions and guidance to his cabinet colleagues. There cannot be another power centre,” said a senior CPI leader. The general feeling was that when there’s such criticism against its ministers, the party should take up the issue and give appropriate reply. The executive, presided over by VS Binu, was attended by state secretary Kanam Rajendran, national secretariat member Pannian Raveendran, state assistant secretaries K Prakash Babu and Sathyan Mokeri. With the LDF scheduled to meet on Tuesday, the CPI may raise these issues before the front. The party is likely to demanded that CPM ministers should refrain from criticising its ministers in public.